Music is an essential element of human existence, it is in everyone. Music is one of the essential components of a person’s intellectual and emotional development. Musical parenting, modeling, and mentoring are important to a child’s access to music, their experience in learning about music, their perception of music and their musical heritage. It is important to our culture not only to acknowledge, but also to uphold our musical traditions. Busking is the art of performance for voluntary pay. Originating with street performance in the 1850s it has now expanded to the internet via various performance medium, websites and social networking sites. 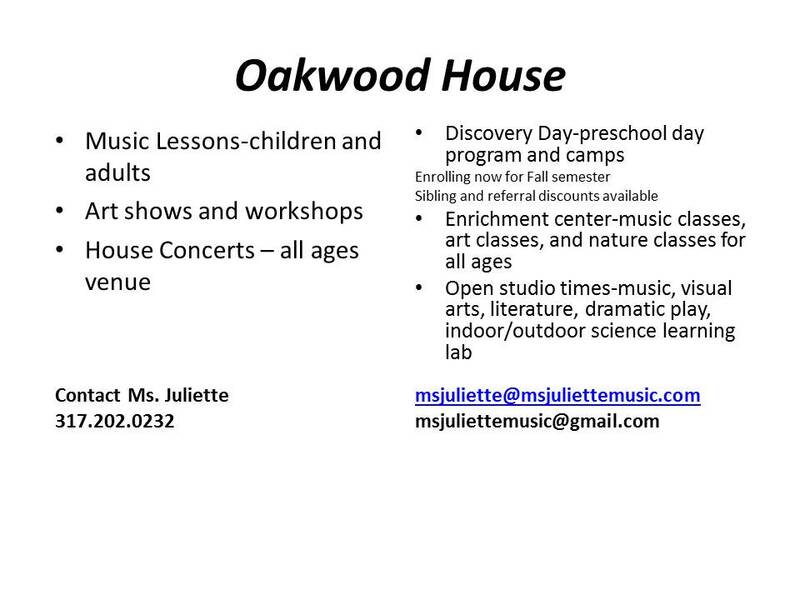 Ms. Juliette's music can be heard online on Facebook and YouTube. From her very beginning, music and performing have always been a part of Juliette’s life and family. Raised in a musical family, she was creating and sharing music with others throughout her childhood. She has worked in the field of education since before she was out of high school and has aspired to be a quality teacher and musician her entire life. With a degree in music from Butler University and specialties in music education vocal music, and literature, Juliette has been a professional in the field of music since 1990. 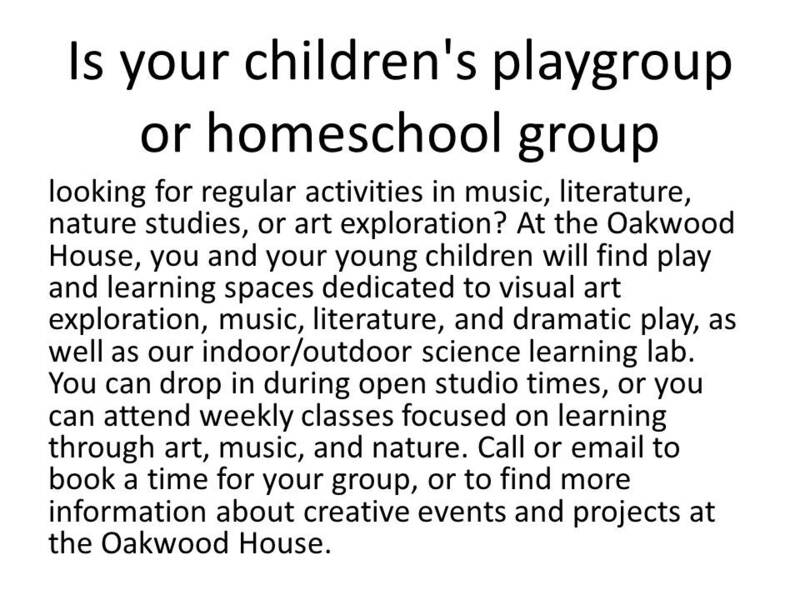 She has enjoyed positions as music specialist and after school instructor in several Indianapolis area elementary schools, preschools, camps, and nursing homes. She began teaching private lessons through Renaissance Studios in 1994 and in 1998 expanded her work there to include preschool children and the whole family by starting her own preschool music program from Kindermusik International. She has since developed Music With Me, a musical heritage project and class curriculum for families, in addition to giving private lessons individualized to each student’s unique needs. She now teaches from her house on the northwest side of Indianapolis. One of her newest endeavors is to help foster understanding in communities with the Seeds of Common Sound traveling musical heritage collection. 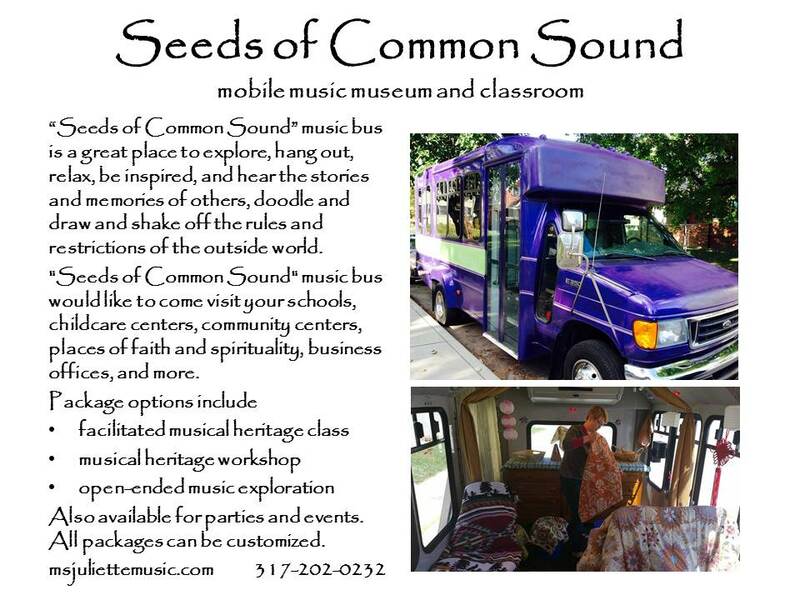 This collection is primarily housed on the Seeds of Common Sound music bus and is taken to schools, community centers, office buildings, fairs, festivals, and many other events and locations. 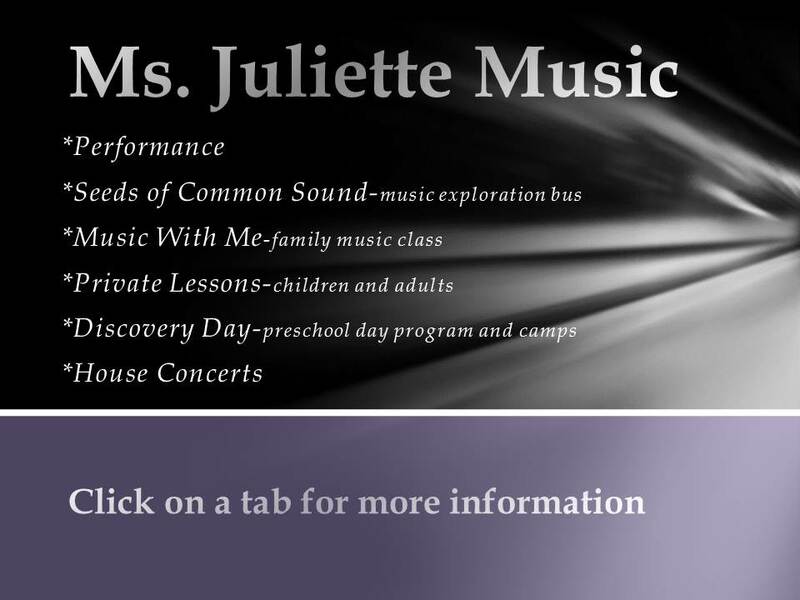 Ms. Juliette’s performance experience covers a range of choral, ensemble and solo concerts throughout Indianapolis and Northern Indiana, ceremonies and private engagements, and theatrical and multi media work. She has had the pleasure of performing with a diverse population of musicians in choral, folk, bluegrass, classical, jazz, and “world music” styles, finding voice through existing and original music, including her own. Juliette’s continuing studies include Telecommunications at Butler University and Music Technology in Education at IUPUI in the IU School of Music. She also has several CEUs and Professional Development hours in Early Childhood Development, Education, Music, and Special Needs Education and Enrichment. She was on staff for the IUPUI Music Academy as an early childhood music teacher and private voice instructor and was a private voice instructor, and Kindermusik Teacher and Program Director of the Kindermusik program at Renaissance Studios, in Broad Ripple Village. She also has been a radio talent at WFYI Public Radio station in Indianapolis and was creator/producer of a vocal music segment there. In 2012 she joined Congregation Beth El Zedeck staff as Religious School Music Specialist and a Congregation Beth El Zedeck songleader.